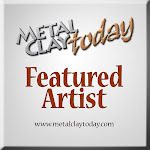 I am very happy to be part of the Etsy Metal Clay team with very talented artists. When I got in the team they already had organized their first charm swap and I could not participate in it. Finally we decided to make another charm swap and I was so happy to be able to be in it this time. 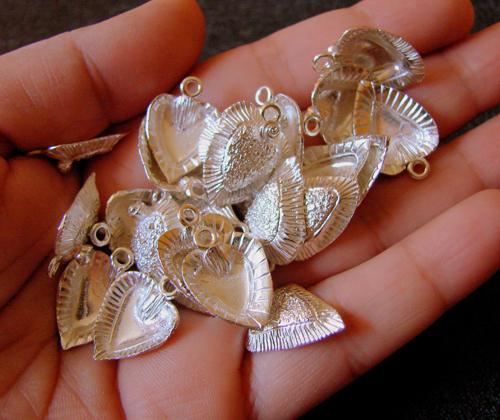 I made 24 charms, 2 of them will go to make two bracelets that we as a team will donate to a charity. 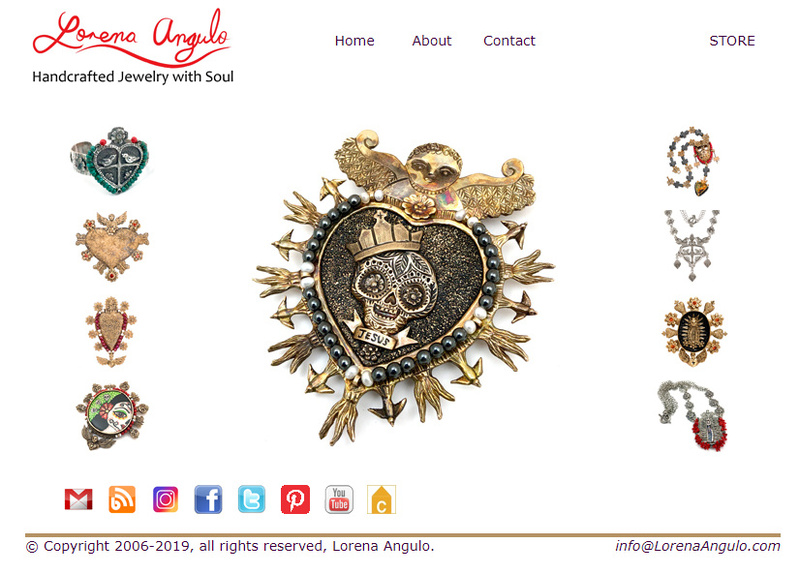 I always knew what I wanted to make, there is nothing more "Lorena" than my hearts. 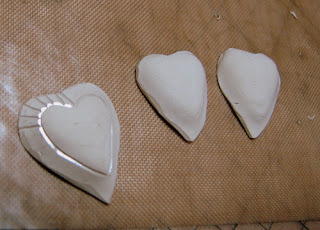 I always start with a clean canvas, as you can see the two hearts on the right are plain dry silver clay hearts waiting to became alive. My next step is to carve the pieces freehand. Every heart has different dimensions in the carving. In this photo I was almost finish with the carving and getting ready for the next step, more texture and a little rose on top. Here I have the charms just out of the tumbler. 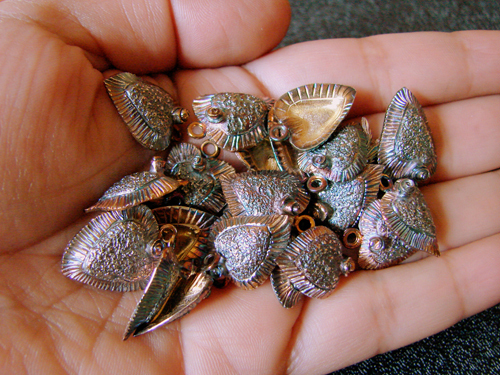 I normally do not leave my work without a patina, I choose liver of sulfur. The final finishing of my charms will be a surprise to my team mates. Hope you all like them ! 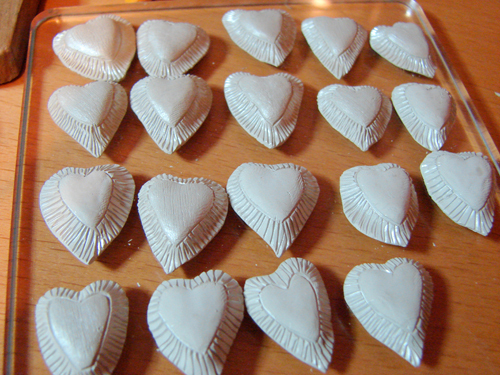 I made them with all my love and heart for you all. These are lovely Lorena. I love seeing how you work. What type of tool(s) do you use to carve with? I always use the smallest "V" tip, number 1.